I know Jon posted his fantasy all-stars yesterday, but I have been working on this for a few days now, so please forgive me if there is a little bit of repetition here. I will go by league and position pointing out the MVP, Goat and Waiver Wire stud (someone who went undrafted according to average draft position in ESPN leagues) with a very brief description of my reasoning. For outfielders, I will pick two of each. Let’s get some good discussion going on this! AL MVP: Victor Martinez – The lack of depth at catcher really shines through in the AL. Joe Mauer is hitting a great .301, but has managed just 4 HR this season, so the honor falls to Martinez, who definitely struggled mightily out of the gate, but has turned things around in the last couple months. NL MVP: Miguel Olivo – Not only is Olivo the MVP on the power of a .311 average with 11 HR, but he is also my pick for WW Stud at the position in the NL. He was largely undrafted in ESPN leagues this season (he was the 16th choice among catchers). AL Goat: A.J. Pierzynski – The disaster of a season for the former all-star catcher seemed to be turning around in early June, but he has fallen back into a slump and his batting average sits at .237. He is 1-for-15 in July so far. NL Goat: Bengie Molina – Since Bengie was just traded to the AL last week, I will still count him as a NLer for this article’s purposes. Molina looks like he has turned the corner (in a negative way) and has struggled to a .255/.310/.325 mark with just 3 HR this season. This is a guy who belted 20 HR last year! AL WW Stud: John Buck – Wasn’t drafted at all this season pretty much anywhere and stands sixth overall in my points league. 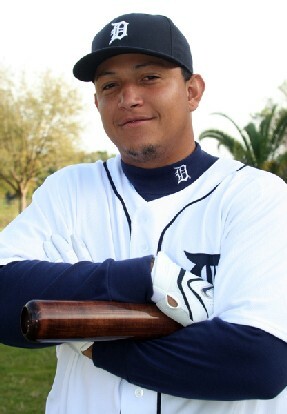 AL MVP: Miguel Cabrera – Beast. Total, unadulterated B-E-A-S-T. He is by far and away the points leader on the season. NL MVP: Joey Votto – Votto edges out Albert Pujols by virtue of having one more HR and a few points higher batting average on the day I wrote this. Of course it could go either way. AL Goat: Chris Davis – If you drafted him (he went 153rd overall on average in ESPN leagues), you likely don’t have him anymore. He’s the dictionary definition of the term BUST. NL Goat: Todd Helton – Hey, this guy has treated us to years and years of terrific production. Age has just seemed to catch up to him now, as he is dealing right now with a gimpy back and hammy to go with a career-low .246 BA. AL WW Stud – There really haven’t been any players who were truly “undrafted” that have made a huge impact; however, with a few more good games this month, Russell Branyan would take the honor – I’m just not ready to hand it over yet. NL WW Stud: Aubrey Huff – Huff has as many points as Ryan Howard and Prince Fielder this season. For someone who started the year on every waiver wire, that’s amazing. Yes, I know he plays mostly OF now, but he qualifies at 1B everywhere. AL MVP: Robinson Cano – Cano is the easy choice here – not only is he blowing away everybody in the league in scoring, but his best competition, Dustin Pedroia, is injured right now. NL MVP: Martin Prado – A pair of HR last night raised Prado’s SLG% to an even .500. I thought this guy was going to be a slap hitter! A lack of stolen bases is distressing, but his numbers across the board have been pretty astounding. Oh yeah, he was the 15th second baseman taken on average in ESPN leagues. AL Goat: Aaron Hill – This guy is making me pull my own hair out. He hasn’t been able to get himself over the Mendoza Line for more than a couple days all season long. Hill’s draft-day price (8th second baseman taken, on average) makes him one of the biggest busts on this list. Apologies to Brian Roberts, I know you deserve to be here too! NL Goat: Chase Utley – Not many choices on the NL side, so considering his average draft position (first 2B taken with the 6th overall pick on average), I will call him the goat. The fact that he will miss all of July and most of August will have many owners agreeing. AL WW Stud: Alberto Callaspo – He has quietly been having an above-average season so far, with 8 HR and a .279 average. NL WW Stud: Juan Uribe – Freddy Sanchez and Edgar Renteria’s injuries helped propel Uribe to 12 HR and 46 RBI this season. Definitely above replacement value. AL MVP: Alex Rodriguez – You could make a case for Evan Longoria – heck, even Michael Young, but ARod is sitting in the clubhouse with the most RBI (67) among all Major League third basemen. And he started slow! NL MVP: David Wright – He has gone ahead and officially proven that last year’s power outage was a total aberration. AL Goat: Chone Figgins – Apologies to Gordon Beckham, but Figgins went 9th overall among third basemen on draft day. He has rewarded his owners with a .233/.330/.272 mark. Even 23 steals can’t make up for that. NL Goat: Aramis Ramirez – Taken 8th overall among third basemen on draft day, holy cow Ramirez has been AWFUL! He is only 32 years old, but struggled to a .189/.250/.342 mark – and that was before he started getting injured. He and Aaron Hill are competing hard for bust of the season. AL WW Stud: Jose Bautista – Face it, nobody could have predicted that Bautista would be leading Major League Baseball with 22 HR on July 8! NOBODY! And just about everyone who owns him snagged him off waivers. NL WW Stud: Scott Rolen – Troy Glaus also deserves some recognition, but Rolen went undrafted according to ESPN and has scored more in my points league than Ryan Zimmerman, Mark Reynolds and Adrian Beltre. Not sure many of us were predicting the .296/.362/.560 line he is putting up. NL MVP: Hanley Ramirez – Hard to make the call for anyone else. Even if a .296 average isn’t up to his usual lofty standards, we will all take the 13 HR and 16 SB. AL Goat: J.J. Hardy – The move to the AL and a few injuries have derailed his season. Hey, he never really hit for average in Milwaukee, but at least he was driving in runs with the long ball. These days, he boasts a whopping 3 HR and 13 (yeah, 13!) RBI in 149 at-bats this season. NL Goat: Jimmy Rollins – It’s hard to penalize a guy for being injured, but considering that he was the fourth SS taken off the board and has managed just 102 at-bats this season, I think it’s safe to call him a bust for now. Let’s see if he can salvage something in the second half. AL WW Stud: Alex Gonzalez – Can you tell that Toronto is having an above-average season? Alex is the third of the Blue Jays’ WW Studs, and a humongous April (7 HR) has powered him to be the fourth-highest scorer among all SS in my points league. NL WW Stud: Cristian Guzman – Not many choices on the NL side, but Guzman has proven his versatility – rotating between second base and SS to post a .297 average with 38 runs scored. He has outperformed teammate Ian Desmond, who was projected to put up better numbers. AL MVPs: Josh Hamilton and Carl Crawford – Hamilton has been other-worldly good and is second to only Miguel Cabrera in scoring this season (in points leagues). Crawford has been nearly as devastating and is the only non-specialty player (such as Juan Pierre or Michael Bourn) with more than 25 steals this season. Of the five players with 25 or more steals, Crawford has the same amount of HR as the other 4 combined. Apologies definitely go to Vladimir Guerrero (even though he is basically a DH, he was the 152nd player taken overall on average and has been absolutely dominant this season – wow the Angels made a huge mistake). NL MVPs: Adam Dunn and Carlos Gonzalez – The NL hasn’t been anywhere near as strong as the AL among outfielders. Dunn ranks behind five AL Outfielders. Dunn gets the nod because he has somehow managed to post a .280/.367/.572 line despite an already death-defying 100 strikeouts. Gonzalez (.307/.339/.514) has been solid all season long, and he has 15 HR and 12 SB to his credit. You should see some of the names that were drafted ahead of him – from Curtis Granderson to Shane Victorino to Adam Jones to Raul Ibanez (and the list goes on) – he has outperformed them all. AL Goats: Jacoby Ellsbury and Grady Sizemore – Another pair of injury casualties, Ellsbury has only managed 44 at-bats this season due to a variety of maladies. Sizemore was horrible LONG BEFORE he had the knee surgery that ended his season. These guys went 6th and 8th overall among all outfielders on draft day – OUCH! NL Goats: Carlos Lee and Nate McLouth – Not nearly as egregious as the two guys above, still Carlos Lee has fallen off the planet and can’t seem to get his average above .230. McLouth started slow and continued to be slow until the Braves (mercifully) put him on the DL in early June with mysterious “concussion-like symptoms.” Up to that point, he was batting .176 with 14 RBI – that’s a long way from his Pittsburgh glory days. AL WW Studs: Brennan Boesch and Austin Jackson – You know the Tigers must be having a good season if two of their three OF made the WW Stud list! You may not have heard of the rookie Boesch before, but unless you have been living under a rock, you know who he is now. Boesch ranks 24th in RBI among all OF – he also has fewer at-bats than anyone in the top 30 because he was called up on April 24! This is a guy who was completely unowned in April and is 100% owned today – now that’s some good ROI. Jackson may have slumped in late May, but he is again firing on all cylinders and is batting .306 with 50 runs scored and 13 steals. 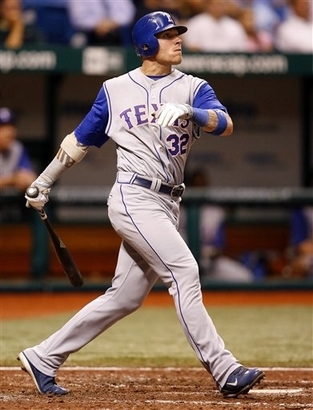 NL WW Studs: Corey Hart and Jonny Gomes – Full disclosure, I had to stretch the “undrafted” part of my criteria to include Hart, although his average draft position was 232.7 on ESPN (blame the lack of great options in this category, OK?). After an excruciatingly slow start, Hart exploded for 10 HR in the month of May and maintained his good play in June. Gomes wasn’t supposed to have a full-time gig on draft day, but he has jumped on his chance for increased playing time and has responded with a .280/.333/.473 mark in just 264 at-bats this season. In NL-only leagues I bet owners aren't quite ready to call Chase Utley a bust. Though I can definitely see him as a bust in most mixed leagues. Aramis Ramirez has definitely sucked but in the last ten days he has really turned it on including three home runs in the last two days. Time to pick him up if he's still floating around your waiver wire. Chris Davis may re-gain some fantasy love if the rumors of a trade to Seattle are true. There are tons of reports saying that the Rangers are the favorite in the Cliff Lee sweepstakes and Davis is expected to be a key part. Aubrey Huff can't get enough love from me. Even if Davis is traded to Seattle, he still doesnt have a spot in front of Branyan or Kotchman. I think Davis is an expanded-roster call-up at best, trade or not. I disagree. Seattle would not acquire him if they did not intend to play him. Branyan will play first and Davis will DH. Point taken. Aubrey Huff has been gold for you.